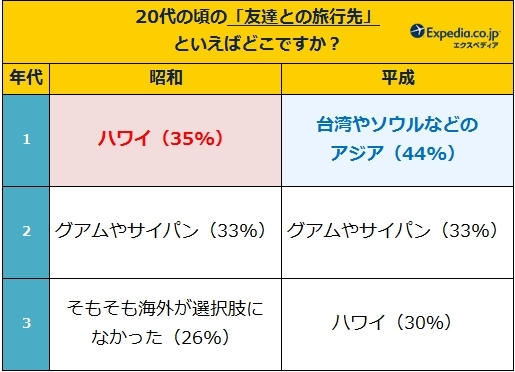 The Expedia survey on overseas travel trend of 50’s Showa Generation and 20’s Heisei Generation shows that a longing overseas destination is Hawaii for both of the generations. A longing destination traveling with friends in 20’s is Asia, such as Taiwan or Seoul, for Heisei Generation (44%) and still Hawaii for Showa Generation (35%). For Showa Generation, the answers of ‘overseas travel was not alternative’ account for 26%. Regarding the first overseas travel experience, the ratio of 10’s is 53% for Heisei Generation, while it is just 12% for Showa Generation (80% in 20’s). 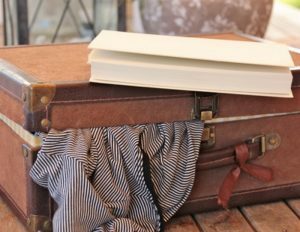 The most-needed item in traveling overseas is guidebook (84%) for Showa Generation, followed by map (29%), watch (27%) and instant camera (22%). 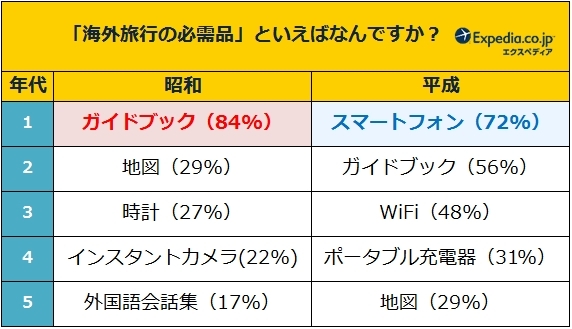 For Heisei Generation, it is mobile phone (72%), followed by guidebook (56%), Wi-Fi (48%) and portable charger (31%). The survey was conducted in the period between October 26 and 29 2018, targeting 20’s to 50’s overseas travel experiences. Collected samples were 400.